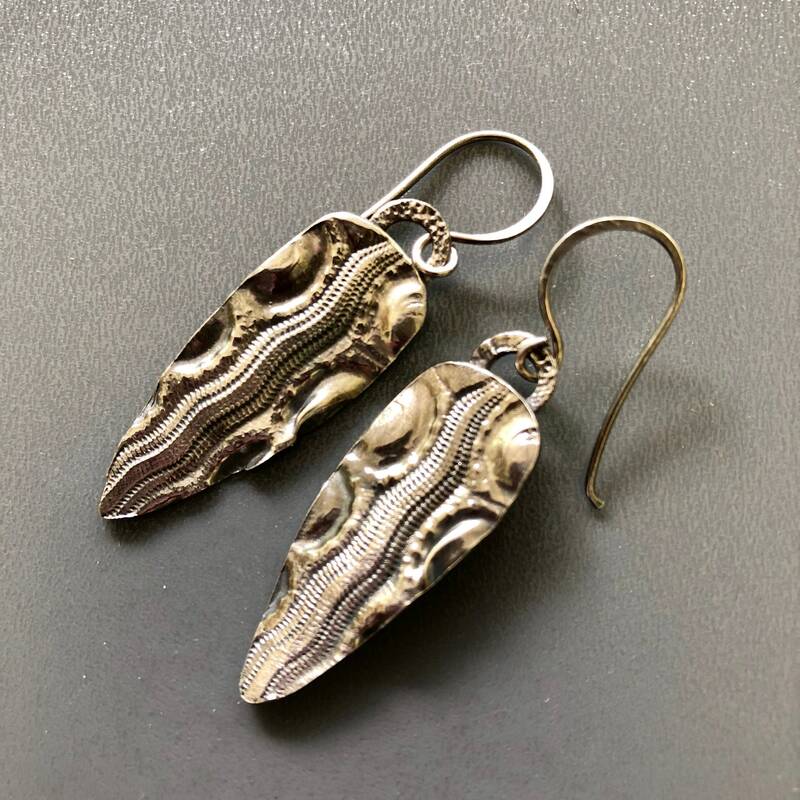 These highly textural earrings were made by literally pressing sterling silver over a real sea urchin and then carefully cutting them out into an inverse teardrop shape. I then fused tiny circles of textured sterling onto the tops and dangled them from my own handmade, hand-forged sterling silver earwires. Signed with silver content on the reverse side. These one-of-a-kind earrings measure 1.5 inches in length excluding the earwire.